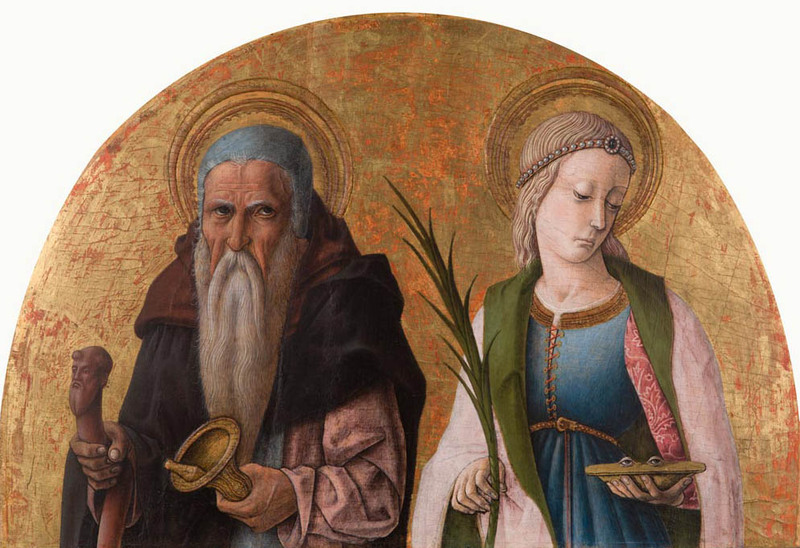 Explore Crivelli's Porto San Giorgio altarpiece, digitally reassembled as it might once have appeared. 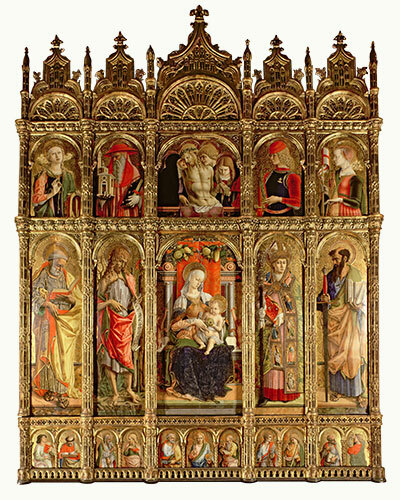 Monumental altarpieces with multiple images (polyptychs) were a staple of Crivelli’s painting practice. All the paintings above were part of a single polyptych. 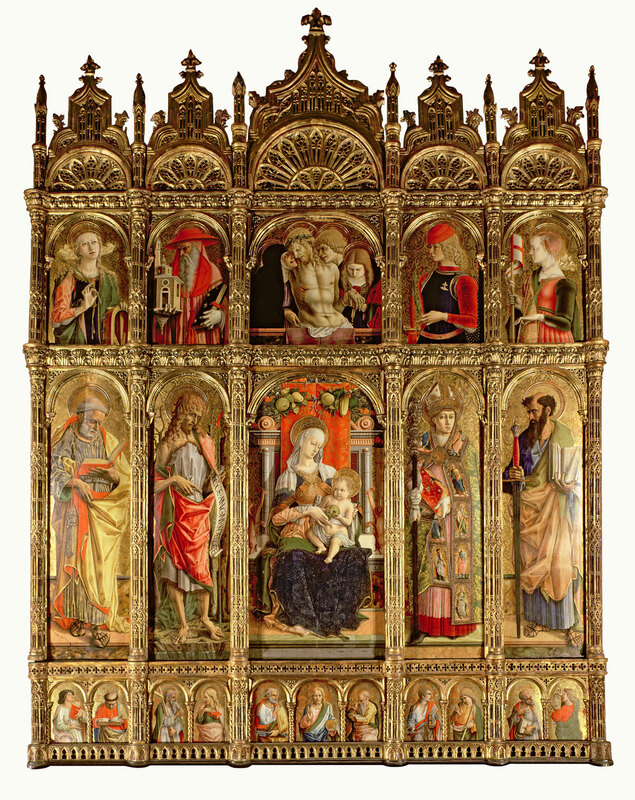 Finished in 1470, the Porto San Giorgio altarpiece stood over the high altar of the parish church in this Adriatic coastal town and remained within its walls for over four hundred years. Following the demolition of the church in 1803, the altarpiece was sawn apart and its paintings dispersed to collections in Europe and the United States. 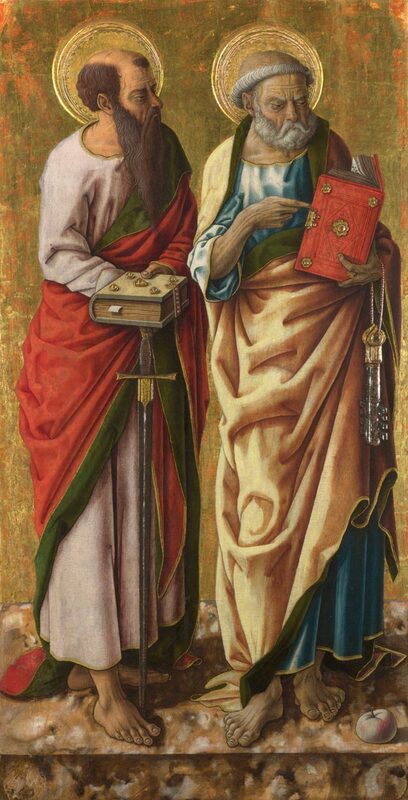 Isabella Stewart Gardner purchased Saint George in 1897, bringing the first Crivelli to America. 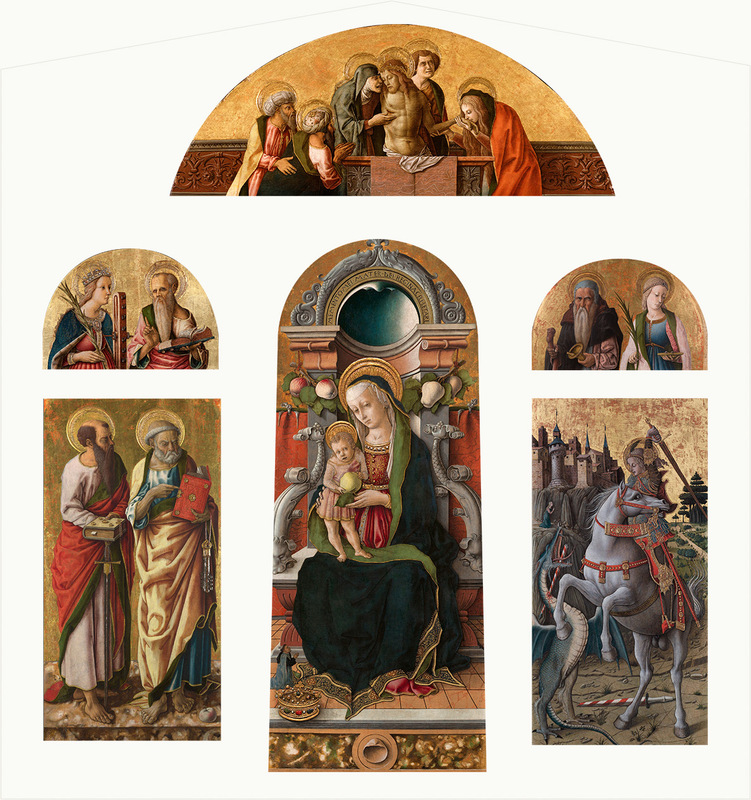 The six surviving panels are assembled in this virtual reconstruction, evoking the splendor of Crivelli’s early masterpiece. Wailing in anguish, the Virgin entombs her son. Slumped under the weight of Christ’s body, Mary Magdalene and John the Evangelist assist the Virgin, tears running down their cheeks. Joseph of Arimathea and Nicodemus kneel in prayer before Christ, his body bearing the wounds from the Crucifixion. His crown of thorns projects from the painted surface in high relief. Crivelli transformed this traditional symbol of Christ’s agony into virtuoso ornament, transcending the boundaries of painted illusion and investing it with presence. 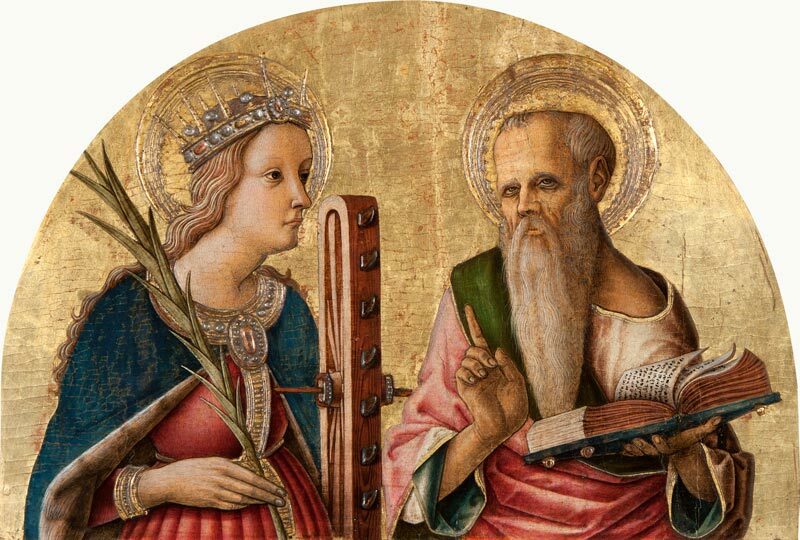 He deployed a similar technique for Saint Catherine’s crown.